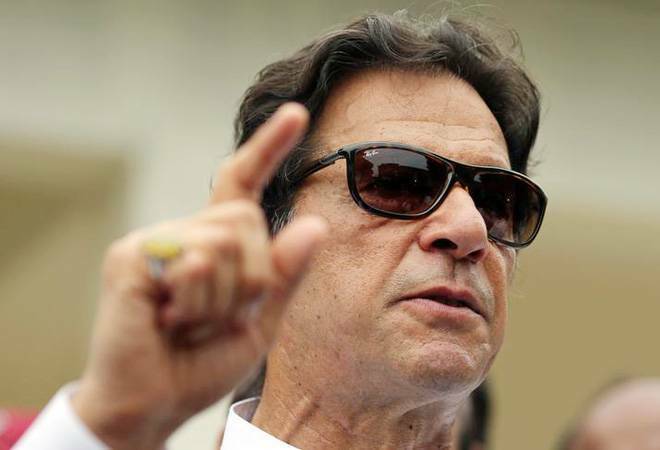 Pakistan Prime Minister Imran Khan's political party is operating at least 18 undeclared bank accounts within the country, putting him and other senior leaders in legal jeopardy, a media report Thursday quoted a report by Pakistan's central bank as saying. According to a report submitted by the State Bank of Pakistan (SBP) to the Election Commission of Pakistan (ECP), the Pakistan Tehreek-i-Insaf (PTI) is operating at least 18 undeclared bank accounts across the country. The cricketer-turned-politician who came to power in July's general election has said that his topmost priority is to retrieve hidden offshore assets and promised to bring back ill-gotten wealth in overseas banks. According to the information gathered from scheduled banks and submitted to the ECP by the SBP, the PTI is operating 26 bank accounts in different cities of the country, but only eight of them have been declared before the commission, Dawn newspaper reported. The remaining 18 bank accounts fall in the category of fake or illegal bank accounts as these have not been declared in PTI's annual audit reports submitted to the ECP as required under the law, the report said. The annual audit reports submitted to the ECP include a certification of authenticity and accuracy by PTI Chairman Khan - a legal requirement for all party heads. It is feared that details of these illegal accounts and their money trails could put Khan and others - some of whom are in senior government positions - in legal jeopardy as they are principal and co-principal signatories of these accounts, the report said. When contacted by the newspaper, PTI's central finance secretary Azhar Tariq, when contacted, said: "We have submitted all the central accounts being handled by us." In July 2018, after exhausting all attempts to requisition PTI bank statements and record, the ECP wrote to the SBP to requisition the party's bank statements. The central bank wrote letters to the presidents of all scheduled banks, seeking PTI bank statements for the period 2009-13 to be submitted to the ECP by July 16, which was finally done. Since the revelation of fake or illegal PTI accounts in the presence of the party's representatives at a meeting of the scrutiny committee last year, the PTI has stopped cooperating with the ECP - a reflection of which was the absence of any PTI representative in the scheduled scrutiny committee meeting on Wednesday, the report said. The meeting was adjourned after petitioner and PTI's founding member Akbar S. Babar, his legal team headed by Badar Iqbal Chaudhry, the ECP director general (law) and two senior auditors from the defence establishment waited for over an hour for any PTI representative to show up. When contacted, Babar termed the whole episode the biggest funding fraud and said that it probably required a detailed forensic audit to know the exact extent and depth. He, however, refused to divulge any information on the undeclared bank accounts of the PTI. The PTI has been pushing for keeping the scrutiny committee's proceedings as secret and had also filed an application to this effect in the ECP and a writ petition in the Islamabad High Court. Tariq said the PTI had asked the SBP to share the details of the accounts it had submitted to the ECP, but the SBP governor asked the party to seek information directly from the banks. He said these might include some accounts being run by the party's provincial offices and some of them might not be operational.